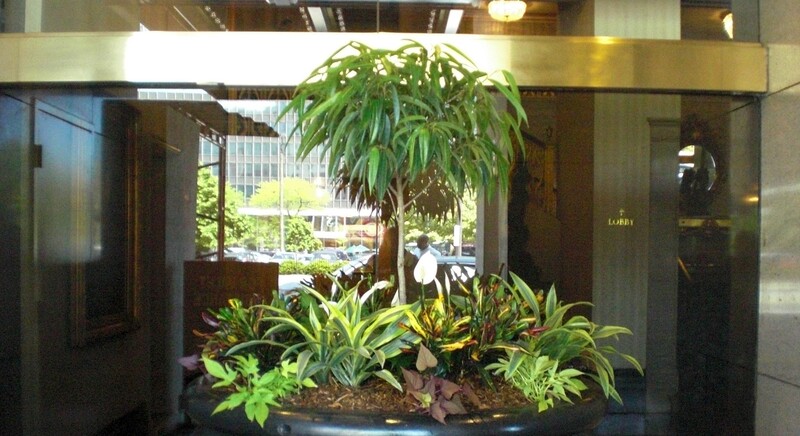 Plant Masters is dedicated to creating customized, modern, and functional interior landscapes for Cleveland businesses. We provide all interior landscape services, such as, maintenance, installation, design, fertilization, pruning, replacement, silk flower rental, lease, and sales, holiday flowers, holiday trees, and other holiday decorations. Plant Masters is conveniently located just outside of the greater Cleveland metropolitan area, which allows for us to service any and all businesses on the west side, east side, and south side of Cleveland, Ohio. Does your company’s interior environment promote employee health, happiness, and productivity? Plant Masters focuses on understanding you, your company culture, and your employees in order to fully utilize interior landscape benefits that make your company more professional, inviting, and efficient. We design and maintain interior environments that will define your company and make it stand out from the saturated market. Our environments will truly delight customers and clients, which will then make your company more memorable; thus leading to more business.